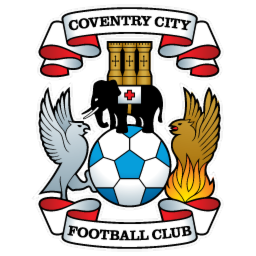 Coventry City Football Club were formed in 1883, and were formed by Willie Stanley, an employee of Coventry based cycle firm Singer Motors. Composed of workers from the company's local factory, the team was called Singers F.C. as a result. 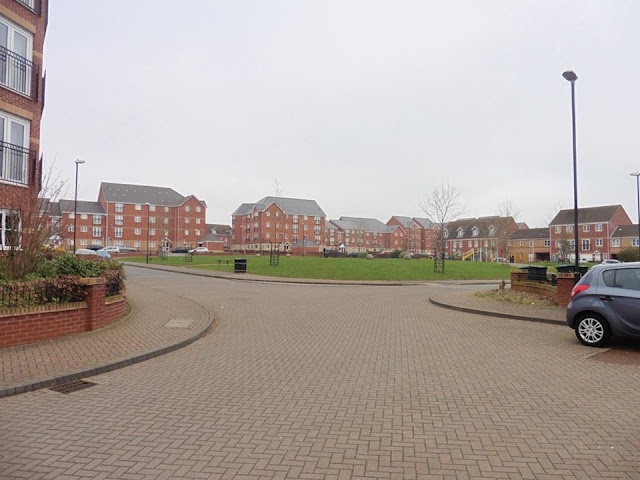 Singers relocated from their original pitch at Dowells Field to an enclosed ground called Stoke Road in 1887 and, two years later, to the Highfield Road site. 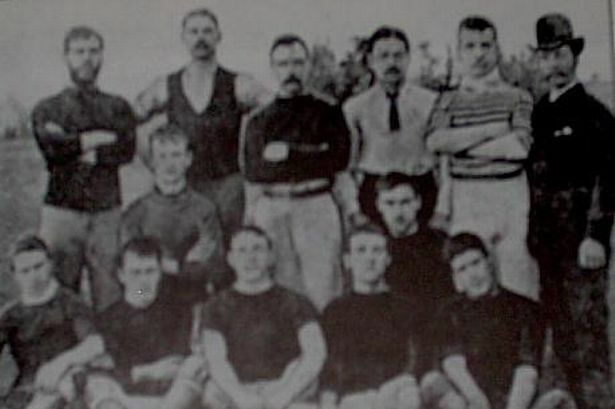 The club turned professional after a very successful season (1891-92) in which three separate cups were won (The Birmingham Cup, The Wednesbury Cup and The Walsall Cup). Local businessman David Cooke (later to become an infamous chairman) produced a 'Three Cups Tobacco' to celebrate the event. 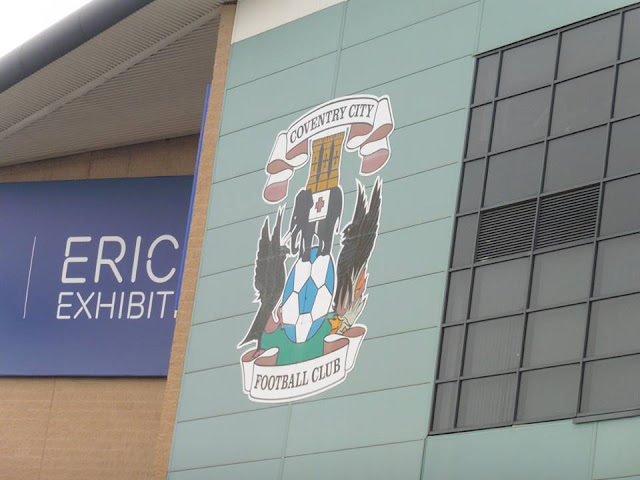 Coventry City were originally known as 'the Bantams' (a nickname shared with Bradford City) before adopting their sky blue identity in the early 1960s. Coventry were first called the Bantams in December 1908 after the local newspaper noted that they were one of the few clubs who did not have a nickname. They remained as the 'Bantams' until the summer of 1962 when Jimmy Hill re-christened them the 'Sky Blues' and the club switched to an all sky blue kit. The club's first major trophy was the Birmingham Senior Cup in 1910-11. 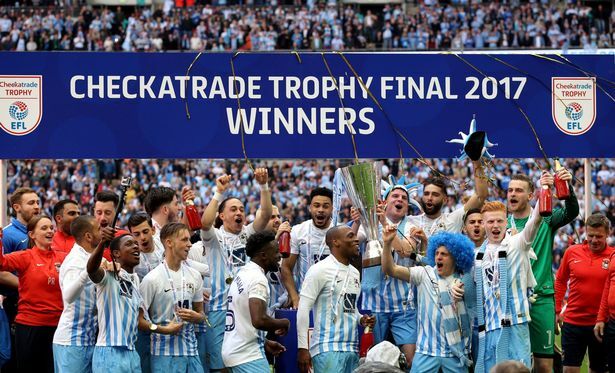 The club went on to win the trophy again another 2 more times, their recent win in 2006-07. 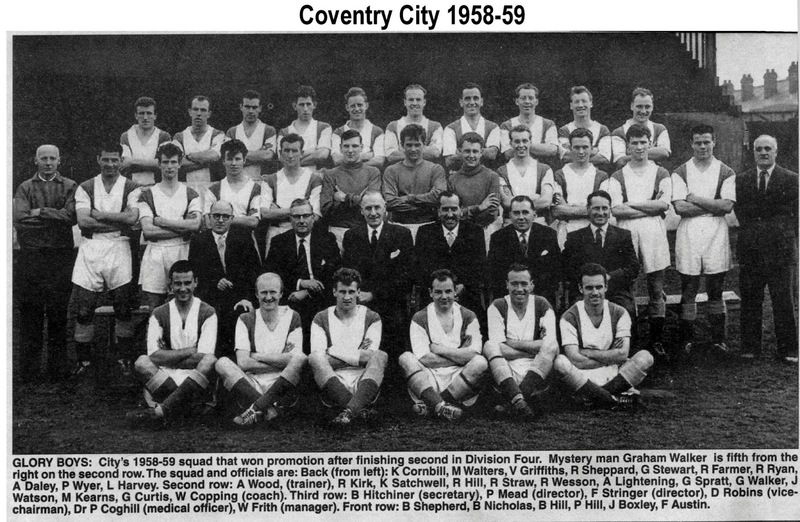 The introduction of a new continental-style all sky blue kit (making Coventry the first team to play in matching shorts and shirts) and the new nickname the 'Sky Blues' in 1962 was the start of a revolution at Coventry City, aided by investment by chairman Derrick Robins. 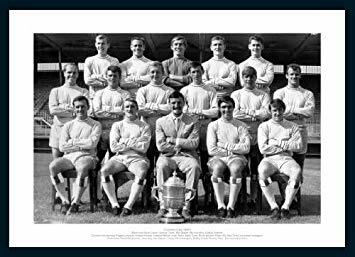 They had won promotion from the Fourth Division in 1959 and, basking in the success of England's legendary win the 1966 World Cup, finished the 1966-67 season as Division Two Champions, under the management of Jimmy Hill. In 1970 Coventry scored one of the most famous goals in the history of the game. In their home game against Everton FC, City were awarded a free-kick on the edge of the Toffees' penalty area. Willie Carr proceeded to grip the ball between his ankles before flicking it up into the air behind him for Ernie Hunt to volley it over a bewildered Everton wall and into the top corner. Though the 'Donkey kick' was allowed to stand, the FA banned the technique on the grounds that it constituted a 'double-touch' of the ball. Aside from changing the laws of the game, the goal also won the Match of the Day 'Goal of the Season' competition. The 1980-81 season saw Coventry reach the League Cup semi-final, narrowly losing away to West Ham United in the second-leg after being ahead from the first game. 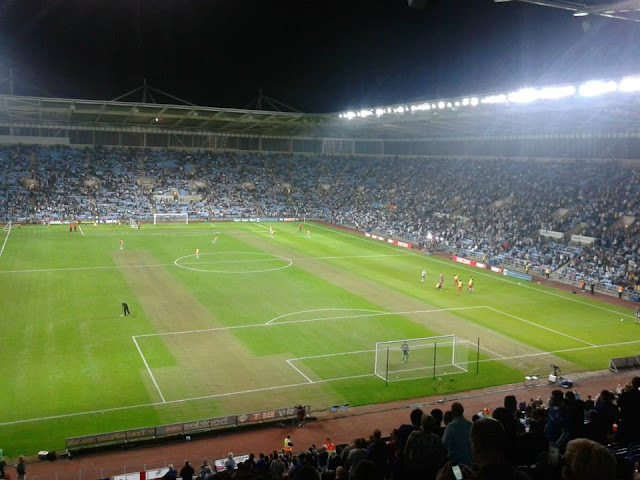 The following season saw the club banned from wearing their home shirts during televised games. 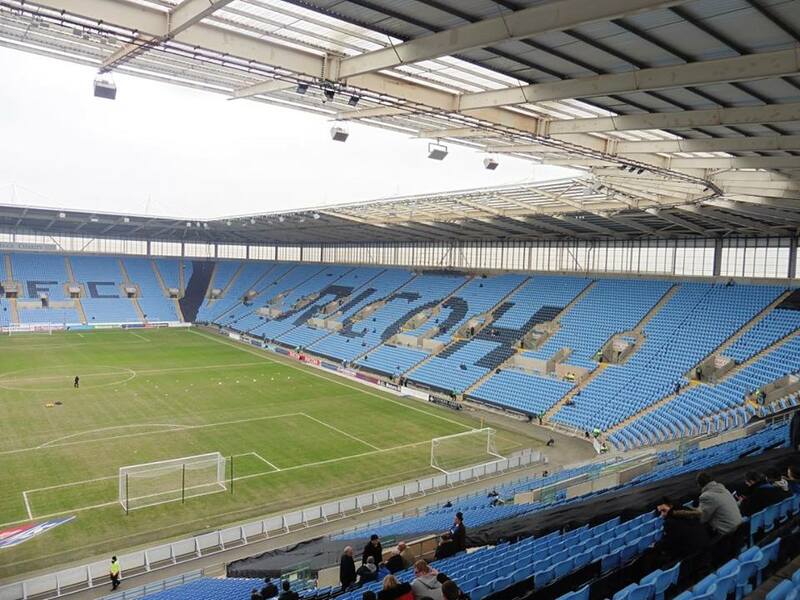 Coventry have won the FA Cup the once. 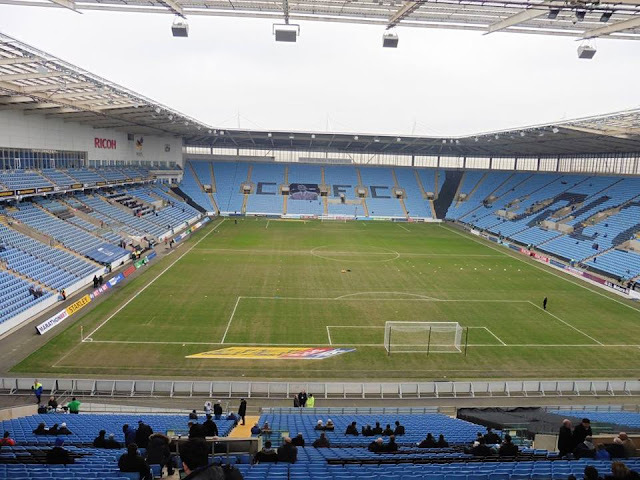 They beat Tottenham Hotspur at Wembley in 1987 which saw goals from Dave Bennett, Keith Houchen and Gary Mabbutt get the goals in extra time which saw the Sky Blues beat Spurs 3-2 in a crowd of 96,000. 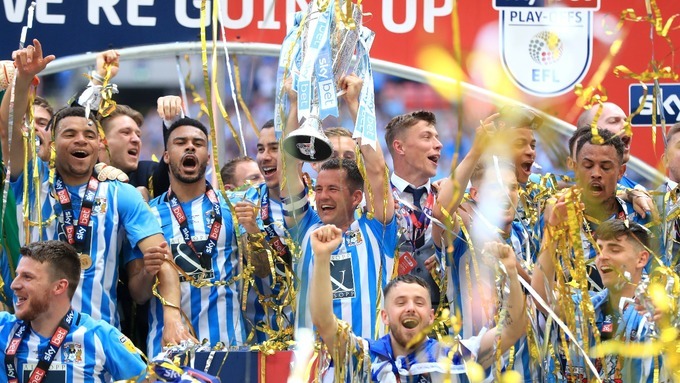 BBC Commentator John Motson also stated it was "the finest cup final I've had the pleasure of commentating on"
In 1992, they became founding members of the Premier League. 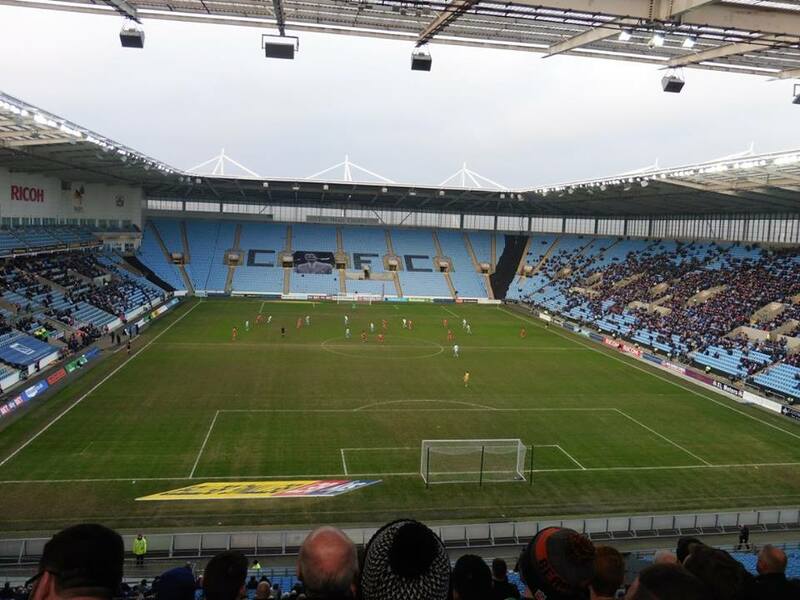 At the end of the 2000–01 season, they were relegated to the FL Championship. Five games into the 2001-02 season manager Gordon Strachan was sacked, shortly after an embarrassing 1-0 defeat at home to Grimsby Town. 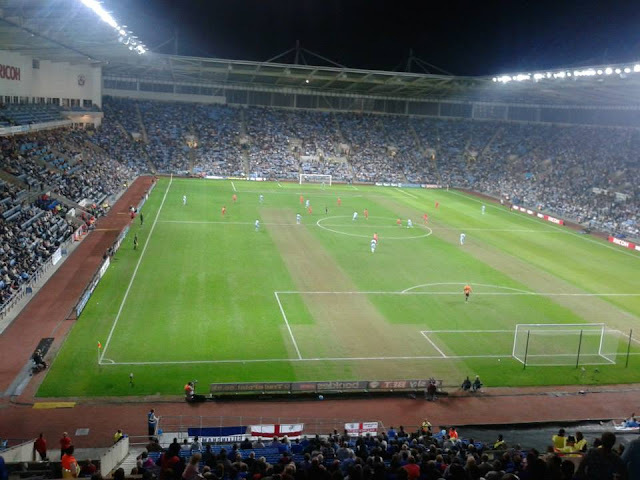 He was replaced by 38-year-old team regular Roland Nilsson, who took on the role of player-manager. Nilsson was dismissed at the end of the season after failing to get Coventry into the play-offs. 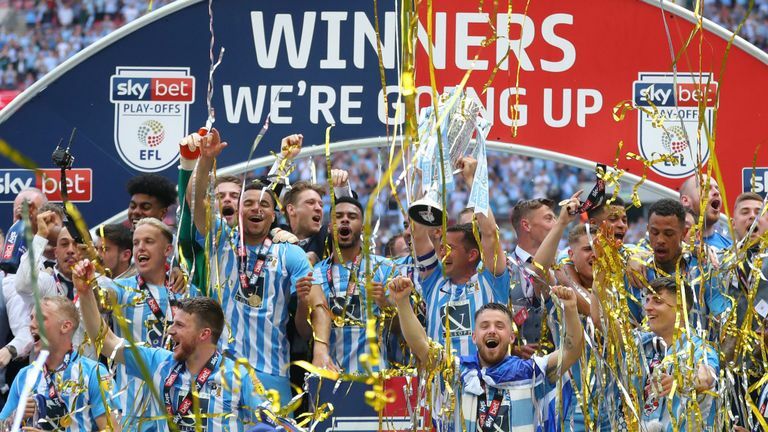 This was particularly disappointing for Coventry fans, as the club had been one of the favourites to win the title at the start of the season. He was replaced by 37-year-old Gary McAllister, also a player-manager, who had been on the club's books from 1996 to 2000 before being transferred to Liverpool. 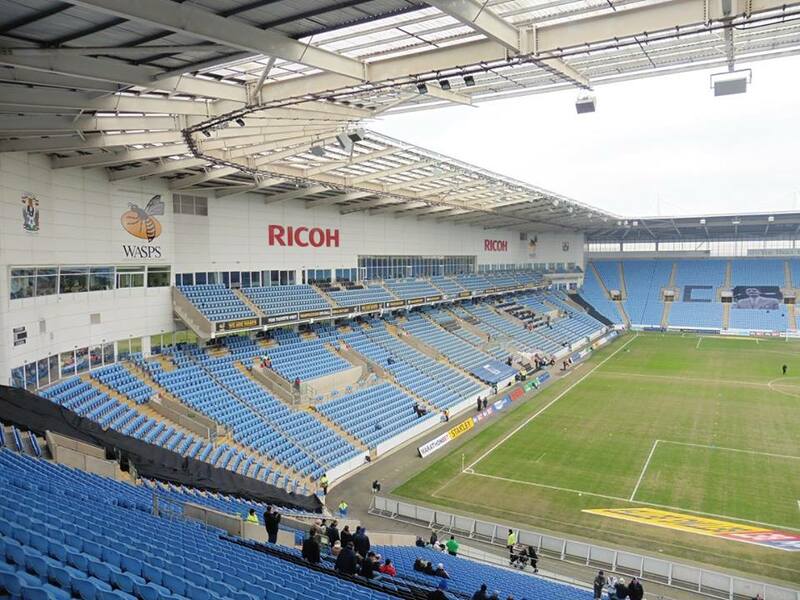 Coventry relocated to the 32,609 seater Ricoh Arena after 106 years at Highfield Road. The club's last game at Highfield Road stadium results in a 6–2 win over Midlands rivals Derby County in front of a sell-out 22,777 crowd. Rivalries include traditional rivalries with Leicester City and Aston Villa. A lesser rivalry with other clubs includes Birmingham City, West Bromwich Albion and Wolverhampton Wanderers. 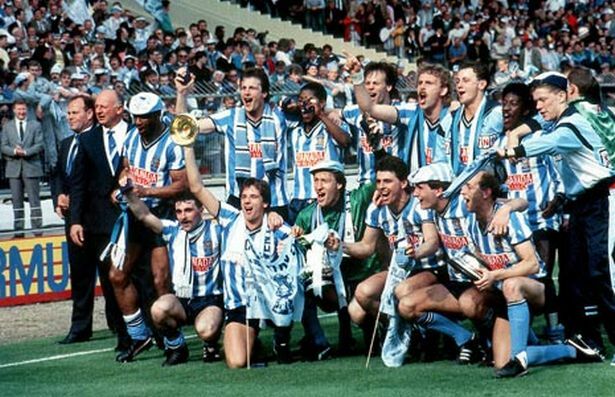 1987 FA Cup Final between Spurs and Coventry City. My 1st visit to The Ricoh Arena came in 2014. It was Coventry City's return back to The Ricoh after spending a season groundsharing at Northampton Town's Sixfields, it wasn't long before they announced an agreement to move back to The Ricoh was sorted and of course their 1st game back at The Ricoh was against The Gills, so of course it was a no brainer. 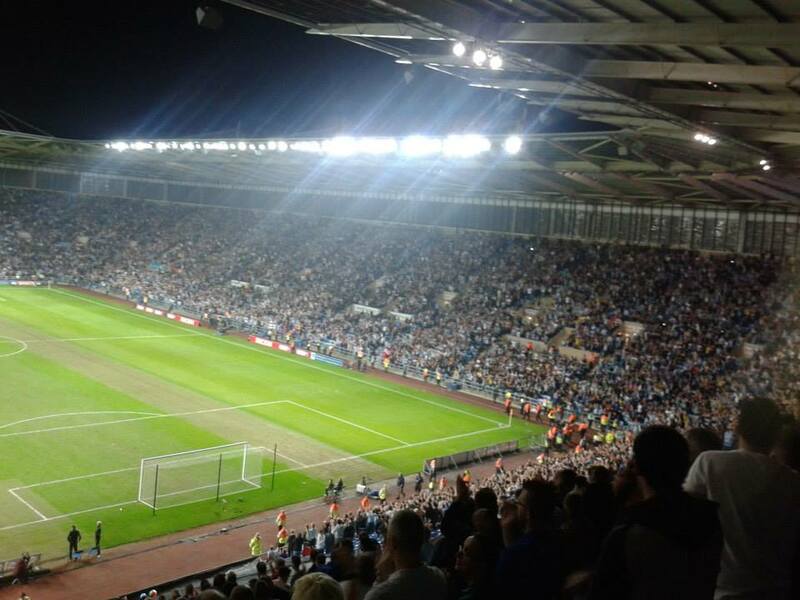 Annoying thing was because it was the 1st game back there, it was on Sky TV, which saw the game get moved to a Friday night. Luckily I managed to shift swap at work so I was able to go with no problems. 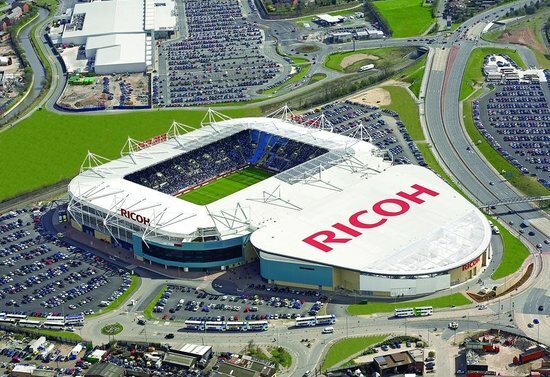 I went by coach to The Ricoh as it was a lot easier at the time, plus with the recent new train stop outside the ground, at the time there wasn't a railway stop. 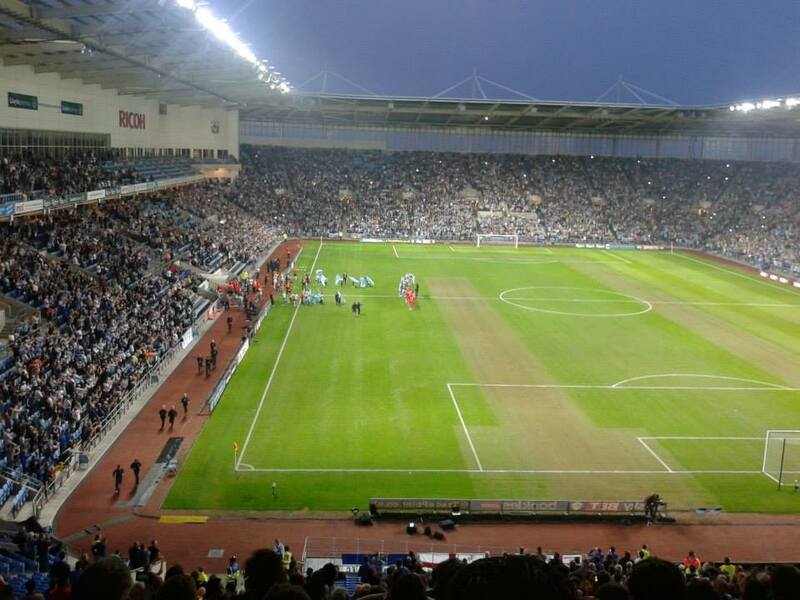 We lost 1-0, typically the winner coming from an ex Gills player at the time Frank Nouble getting the winner. 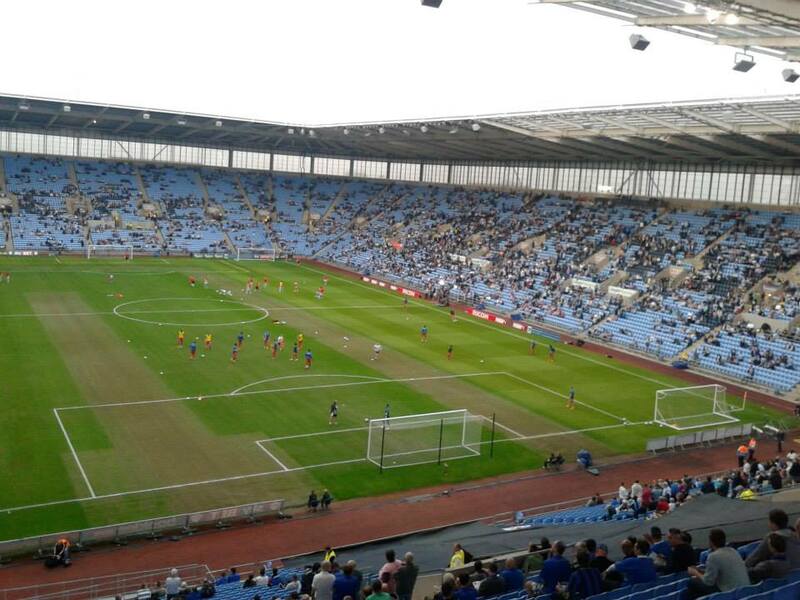 The Ricoh Arena currently holds just over 32,500. 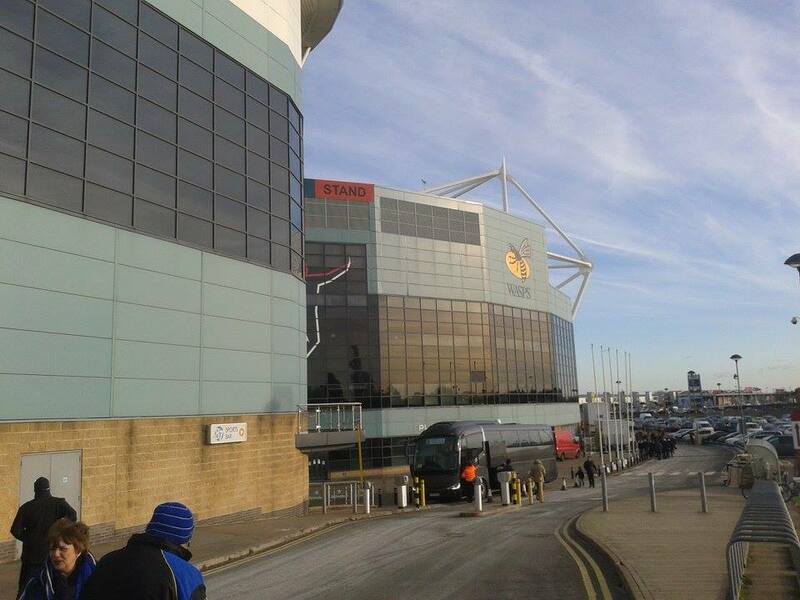 It is a fantastic stadium to visit as well. 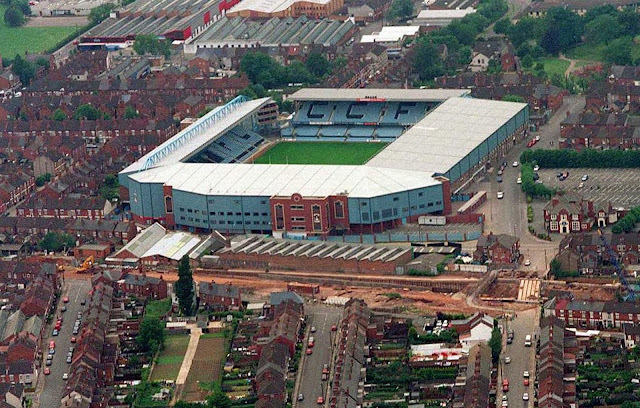 Highfield Road, former home of Coventry City from 1899-2005. 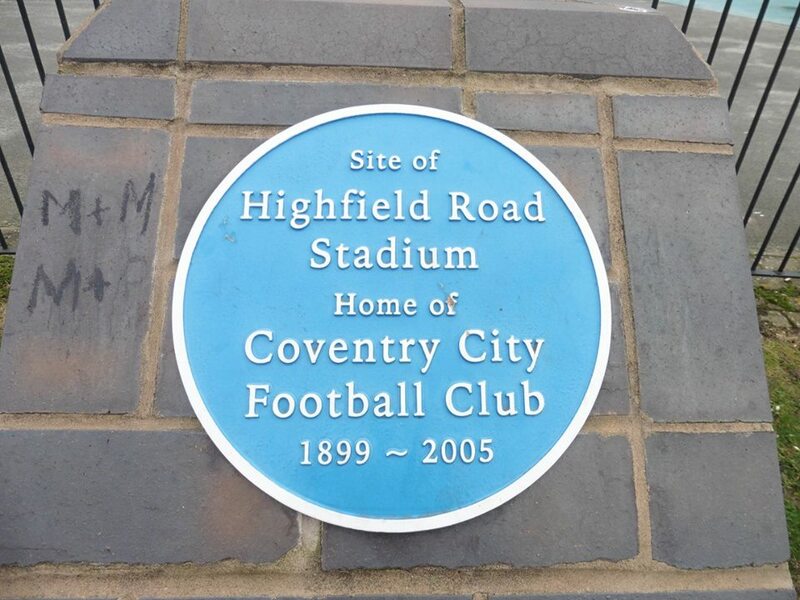 I thought it was quite nice with the plaque in the picture above, always nice to see former grounds aren't forgotten as the previous grounds that I have visited, some of them don't have anything to remember them which is a shame I think as there is a lot of history that happens. 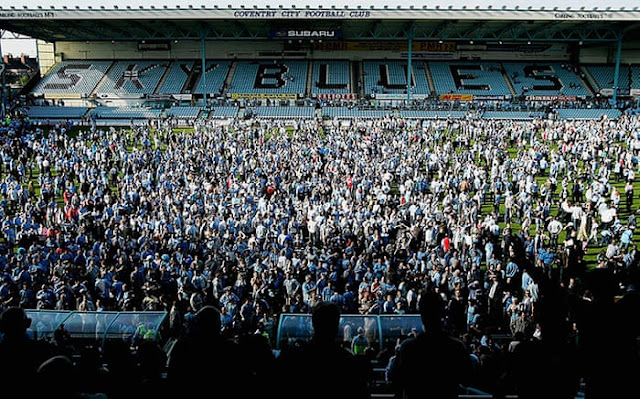 I do hope Priestfield will be remembered if Gillingham ever do leave Priestfield. Anyway, after visiting Highfield Road which was there, I then made my way into town and after putting on some bets and grabbing a bite to eat, I went back to the station. 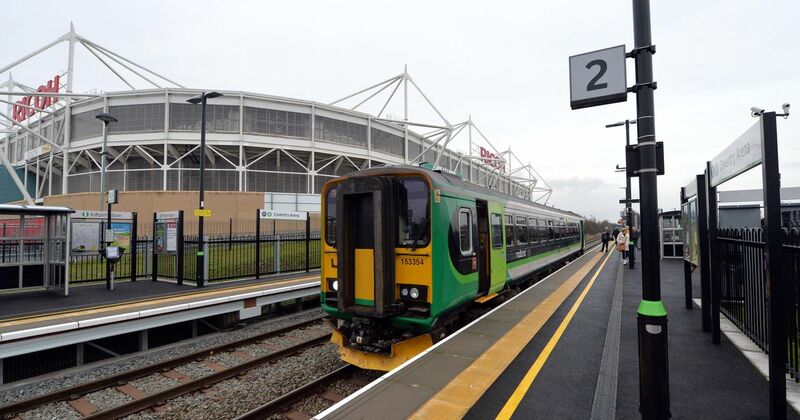 It was either a taxi to the ground or a train as I have heard they only run 1 an hour to The Ricoh with only 1 carriage trains, but thought stuff it I'll chance it. Luckily the train I caught, the 1.42 train was 2 carriages and hardly anyone on it. 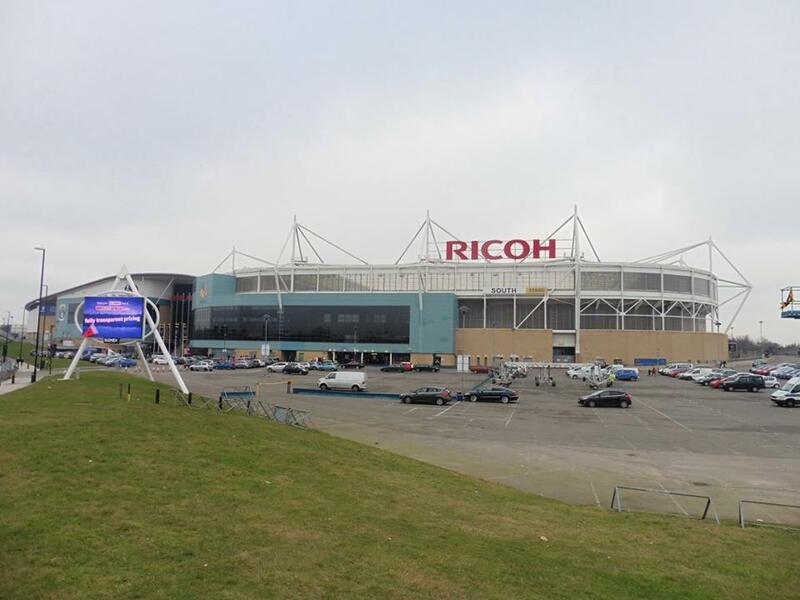 So I got to The Ricoh just before 2 and went straight into the ground. 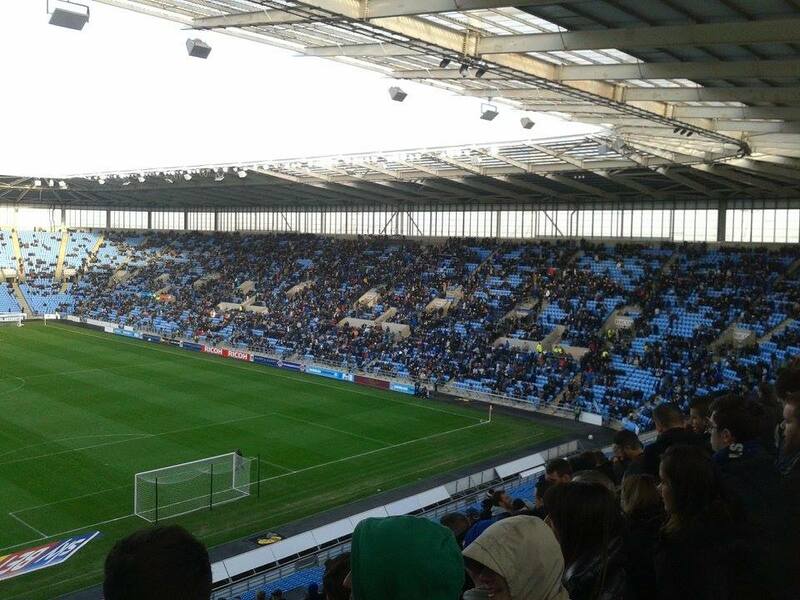 Again I've already expressed my feelings on the game, shame the football ruined it but was a fairly good day. After the game I did hear something about the first train back into Coventry was 6.28 but after checking the train times on my phone every now and then at the game, luckily the 5.28 was running, so thought instead of forking out for a taxi, got a train back to Coventry and then left just after half 6. Eventually got home just after 9. 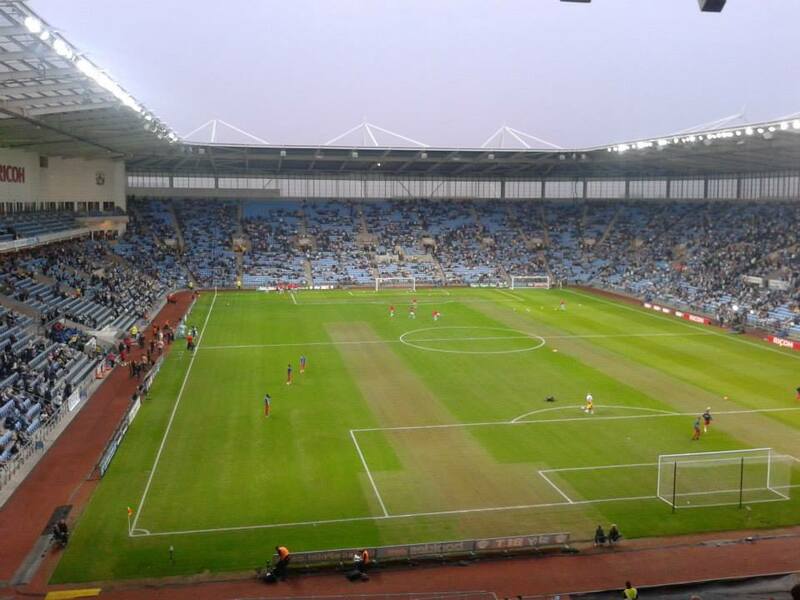 The Ricoh Arena has been the home of Coventry City since 2005 after leaving their previous ground Highfield Road which was their home for 106 years. 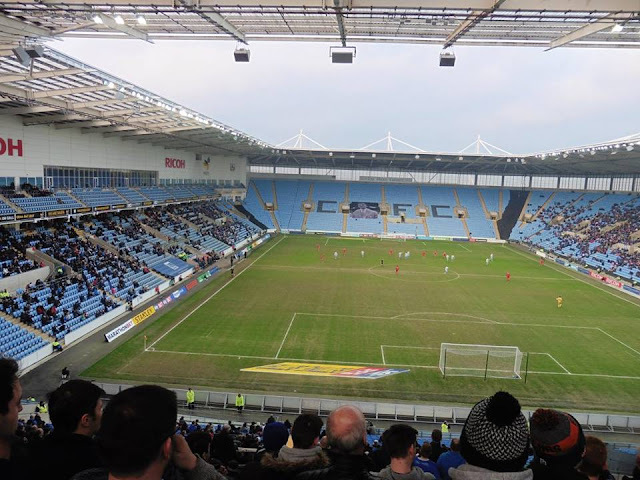 A dispute between the club and Arena Coventry Limited saw the club their "home" games at Northampton Town's Sixfields Stadium from 2013-2014, with the club returning to the Ricoh on 5th September 2014, funnily enough against Gillingham. 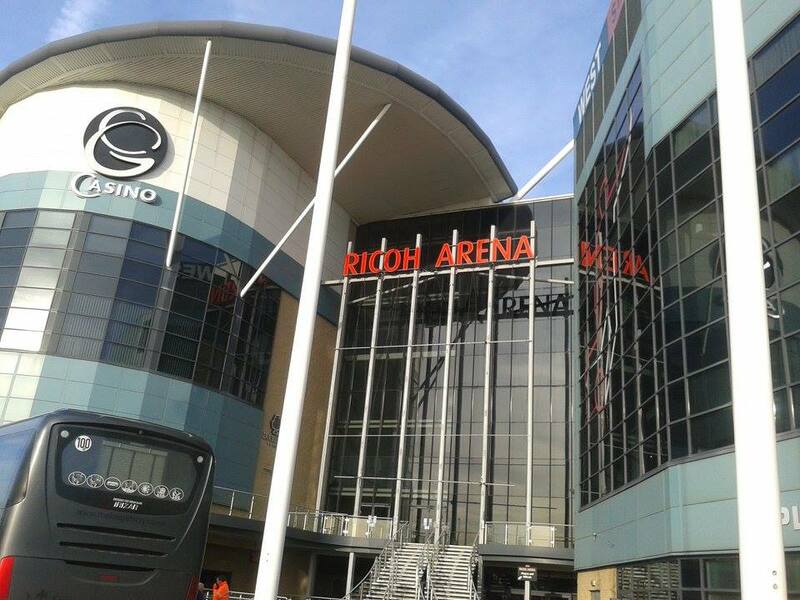 It is also home Wasps Rugby and Wasps Netball. The Ricoh Arena has a total capacity of 32,609 with away supporters allocated in one side of the South Stand of which around 3,000 supporters can be allocated up to. The ground now has it's own train station called Coventry Arena which is located by the ground, although annoyingly there are only 1 an hour trains to there from Coventry main station. 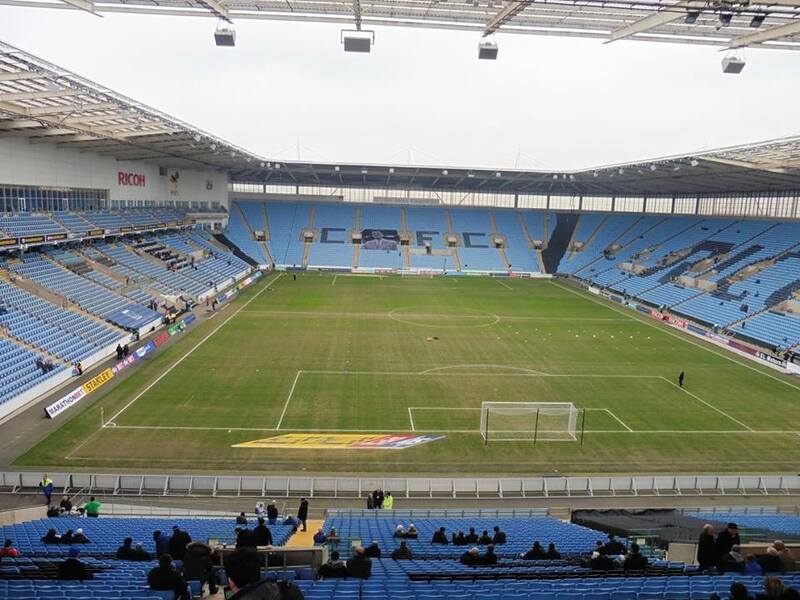 Other than that it might be best to get a bus or taxi to the ground.